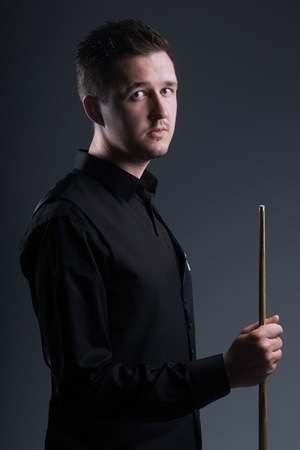 Kyren Wilson launched himself onto the scene in September when he won his first ranking title at the Shanghai Masters. 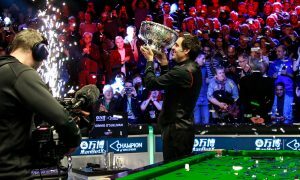 He beat Judd Trump 10-9 in a dramatic final. 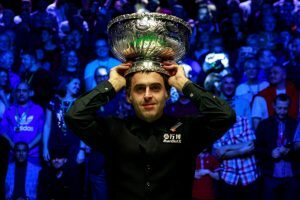 At 54th in the world, he was the lowest ranked winner of a world ranking event for ten years. 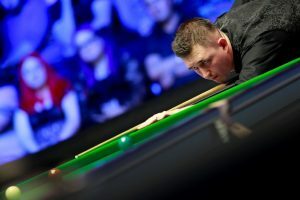 His tournament started with qualifying successes over Vinnie Calabrese, Mark King and Anthony McGill. 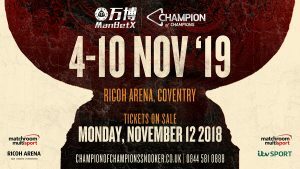 Victories over Wang Yuchen in the wildcard round and Joe Perry in the last 32 set him up to face Michael Holt, against whom he secured a 5-1 victory. It was the first time the Kettering potter had advanced to the last eight of a ranking tournament but he wasn’t done there. A 5-4 win over home favourite Ding Junhui was a warning shot to the rest of the field and in the semi-finals he cruised past Mark Allen 6-1.